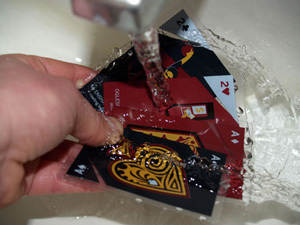 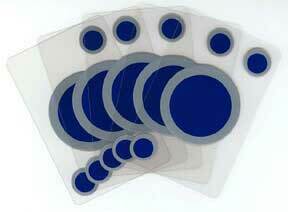 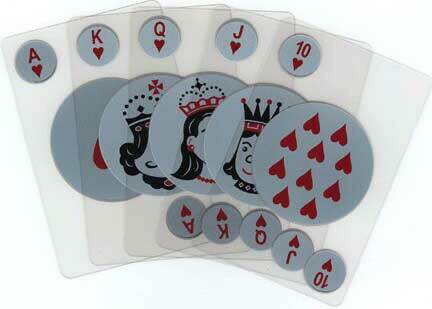 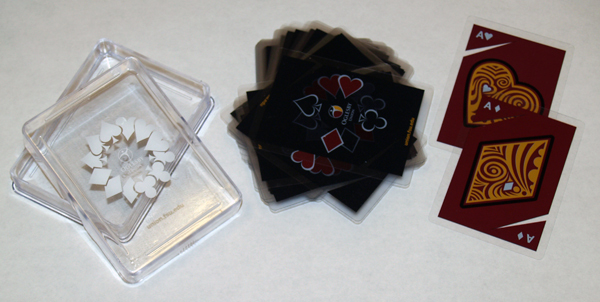 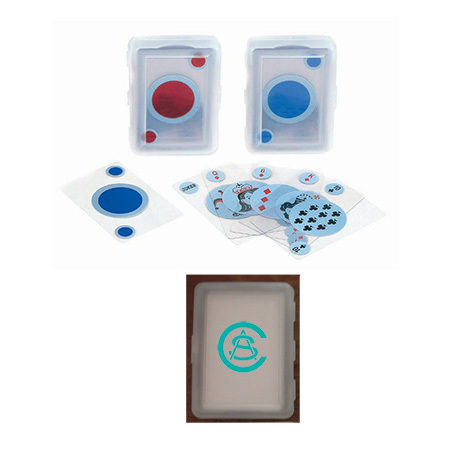 Blue circle transparent playing cards and red circle transparent playing cards come in soft gel boxes which can be imprinted with a high quality clear material custom imprinted label which is especially good for clients who want transparent plastic playing cards customized and need a rush order or an order that is too small to customize the cards themselves. 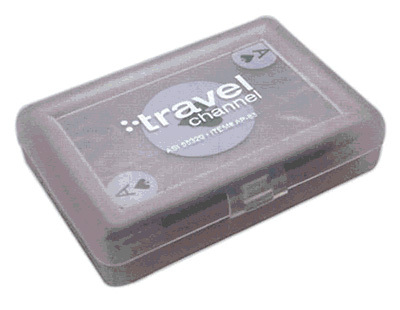 If you have time - we can imprint your logo on the box with silkscreen imprinting. 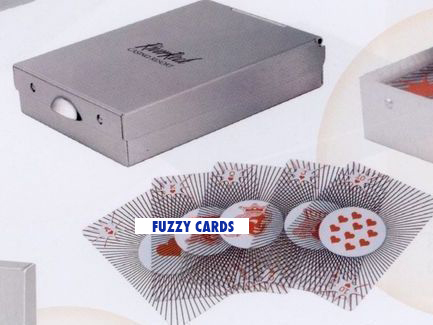 If you require 500 or more we can customize the transparent cards themselves and they can be printed with fully custom faces, backs and full color tuck boxes.